← Won’t You Be My Neighbor? An MLK Day Event! How Can YOU Be More Inclusive? Saturday, February 9 | 9 a.m. – 4 p.m.
Join more than 400 college students from all over the region at the annual Inclusive Leadership Conference. 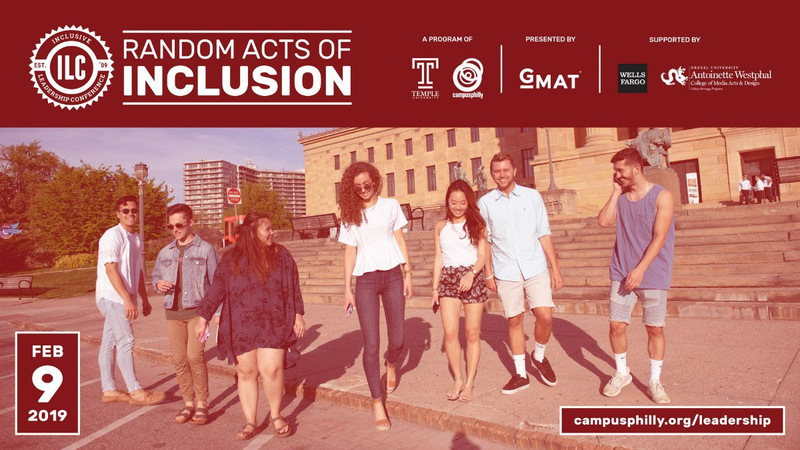 This year’s theme is “Random Acts of Inclusion.” There’s always an opportunity to help and include others at school, work, and in your everyday actions. The Inclusive Leadership Conference strives to build a better Philadelphia by giving college students from around the region the chance to enhance their leadership knowledge and skills through presentations, workshops, dialogues, and panels on topics related to inclusive leadership and social change. This year’s conference will focus on how one can find, advocate, and teach others to find their voice. What can you do now with what you have?